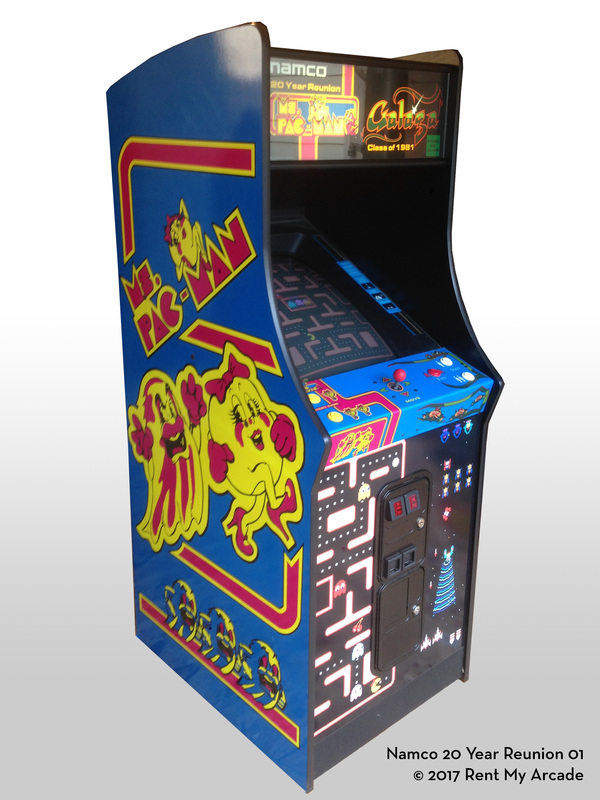 The Namco 20 Year Reunion Ms. Pac-Man / Galaga Class of 1981 is actually six games in one. With striking art from both games on the same cabinet, you can play Ms. Pac-Man and Galaga, along with four additional hidden games. H: 68", W: 33", D: 24"